the engineer's other life: Chocolate crackles! So, we accidentally ate all the chocolate nut bars. This meant having to make something else to take to work for my birthday today. I tried to think laterally - what did our mums make when they had to cater for big birthday parties? Aha! 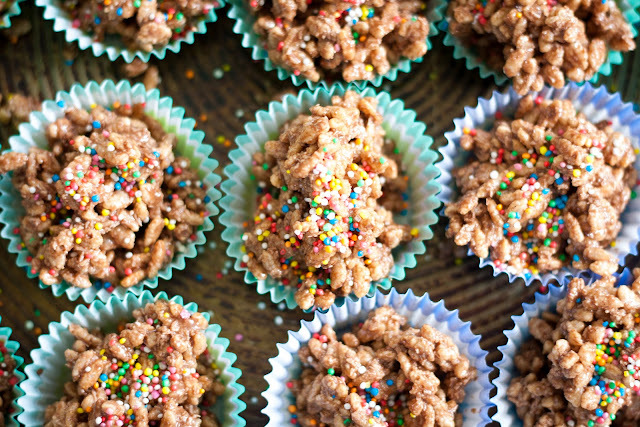 Chocolate crackles. (It was nearly fairy bread, but that would be harder to make in advance and transport to work). Apparently both of these things are only known to Australasians... so I might have to explain them to all the South Africans at work! These are so easy, but to make them authentically you might have to hunt for one of the ingredients. 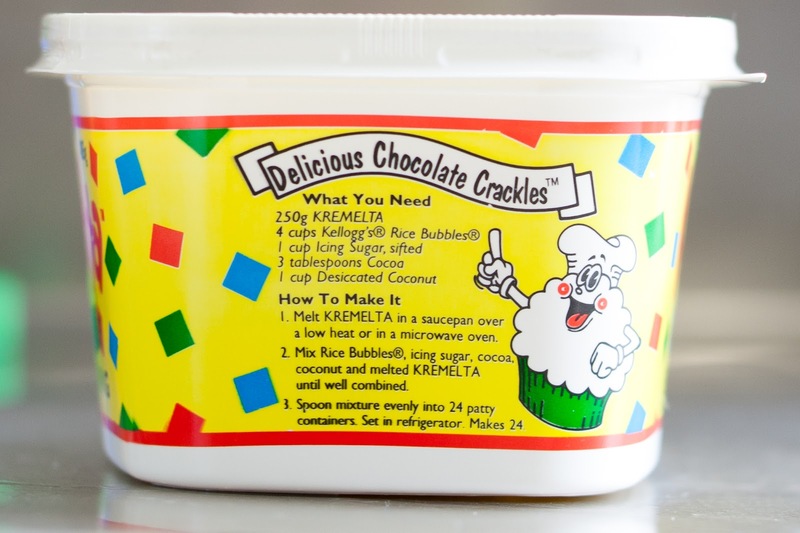 Kremelta/Copha is hydrogenated coconut oil. It's most likely going to give me heart disease, but I don't use it often! I found it in the Oils section of the supermarket - it comes in a margarine tub. Conveniently, it has the recipe on the side. It even says that they are delicious. I substituted about 50/50 choc melts with the Kremelta. You could ditch the Kremelta altogether if you like, but I was going for a bit of authenticity! It does have a lovely, smooth texture though (uh, Kat, that would be because it's 100% fat). 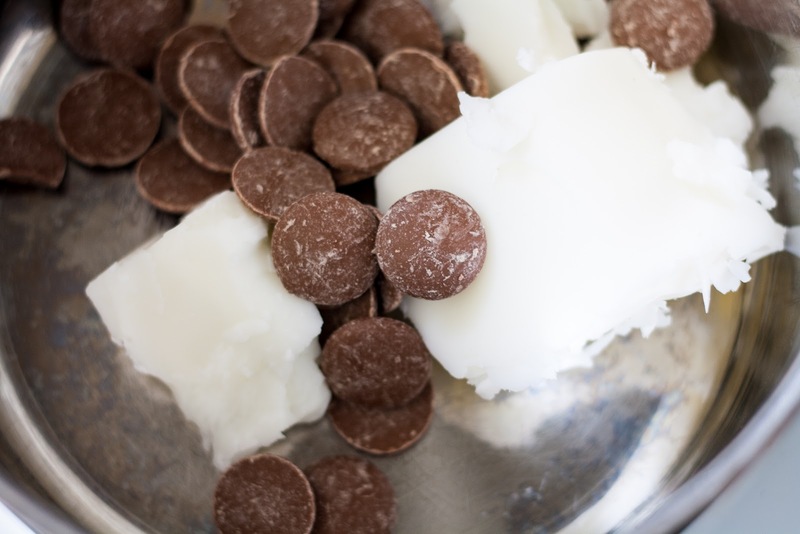 I melted the fats in a saucepan over low heat - but if I was using chocolate on it's own I would have heated it more carefully in the microwave. Mix all the dry ingredients really well, then pour in the melted liquids. Mix really well again, then just spoon into patty pans! I used 100s and 1000s to decorate - again, authenticity. 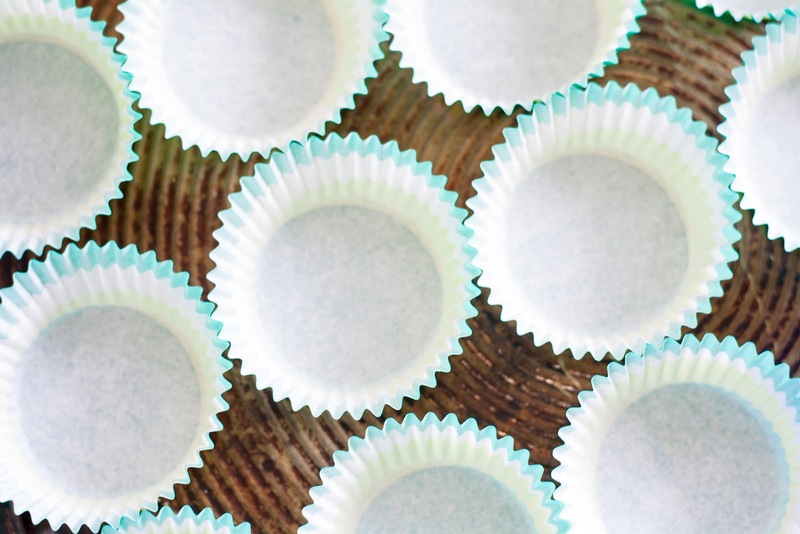 Store them in the fridge or somewhere cool, and enjoy! Imagine never having experienced chocolate crackles before! I'm glad your colleagues will finally have that opportunity. And you're right - it definitely has to be copha in the crackles! It wouldn't taste like the real thing otherwise. YUM YUM YUM YUM YUM. 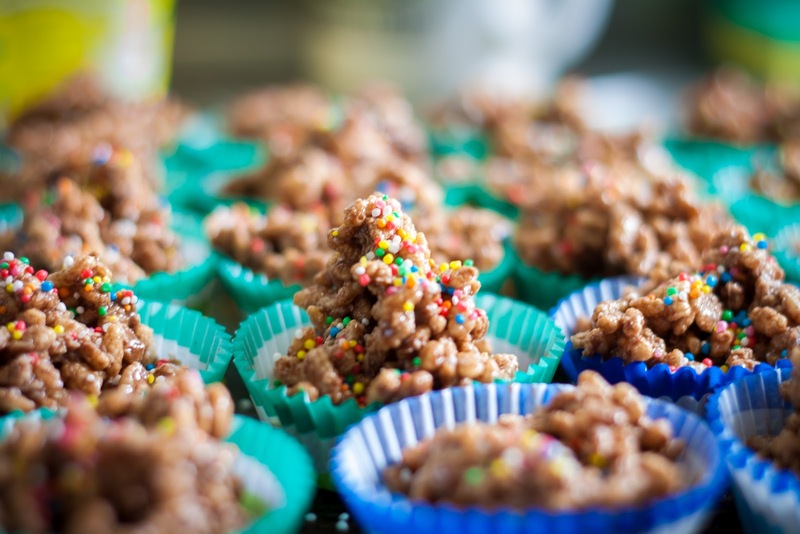 Honestly, a big part of why I go to Little Miss A's birthday parties every year (because 25+ small screaming children running around like maniacs isn't exactly the most fun ever) is to sneakily eat my body weight in chocolate crackles and fairy bread. Because I'm totally a responsible adult like that. Yep, or you could try 'spiders' with those crunchy noodle things! It's got the same little cupcake-looking dude on the packet and everything! You also just answered the question of what to make this weekend. It'll be these or honey joys. Now, for a highly political question - to add sultanas or not to add sultanas?? yummy! I've never heard of that fat stuff is that vegetable shortening? 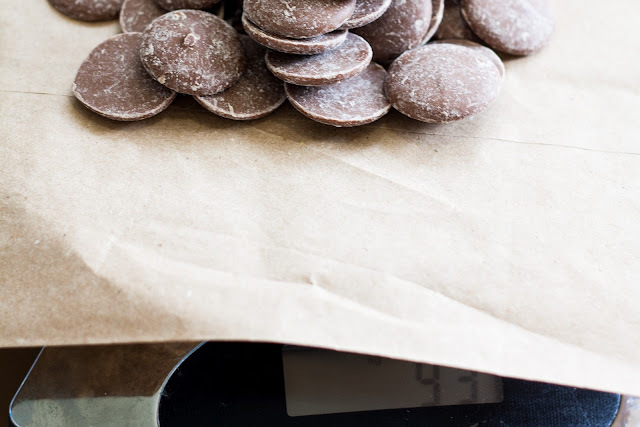 Also, I'm not even FROM australia and but I know a thing or three about chocolate crackles...and I've never heard of sultanas being added in. 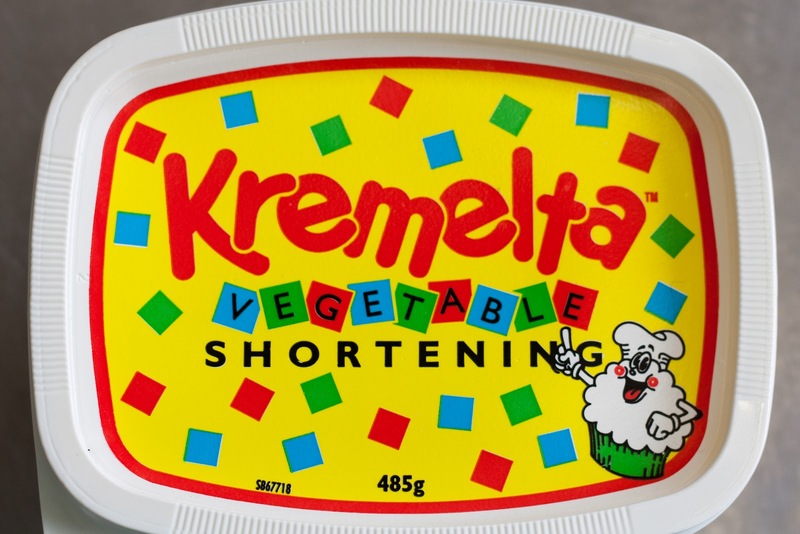 Yes, it's vegetable shortening. It doesn't really have any taste (maybe the vaguest hint of coconut?). I guess these are even vegan - I didn't think of that at the time, but it's a bonus!